Marketplace Product RMA: WordPress WooCommerce Marketplace Product RMA (Return Merchandise Authorization) allows you to setup a system for customers to request a return easily. With the help of this module, the customer can return the products, have them replaced or refunded within the specified time limit. The seller can add RMA reasons and shipping labels as well for the customer. 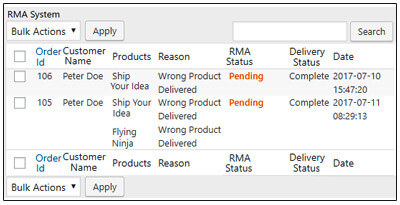 Marketplace Product RMA:WordPress WooCommerce Marketplace Product RMA (Return Merchandise Authorization) allows you to setup a system for customers to request a return easily. With the help of this module, the customer can return the products, have them replaced or refunded within the specified time limit. The seller can add RMA reasons and shipping labels as well for the customer. Please Note: Marketplace Product RMA is an add-on of Webkul WordPress WooCommerce Multi Vendor Marketplace. To use Marketplace Product RMA you have to install WordPress Woocommerce Multi Vendor Marketplace first. The admin from backend can add reasons for RMA under manage reasons. These reasons will be displayed at the front end to the customer while creating a RMA request. Admin can view all the RMA in his panel. 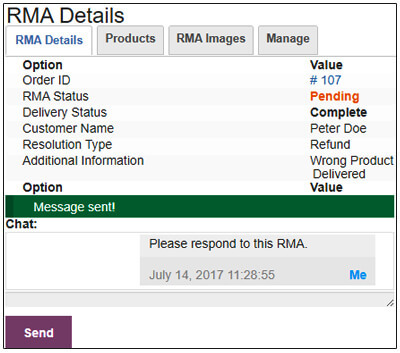 The admin can enter number of days under option “RMA Time” to create RMA by the customer from the day of product purchase. And if that period exceeds then customer will not be allowed to create RMA. Admin can add RMA reasons. 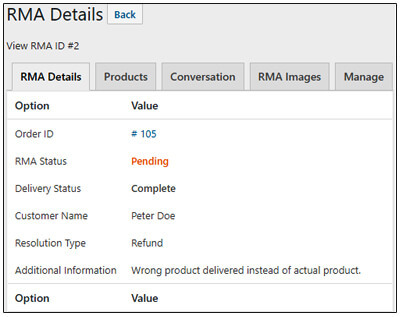 Admin can view order information, product details and conversation related to the RMA. 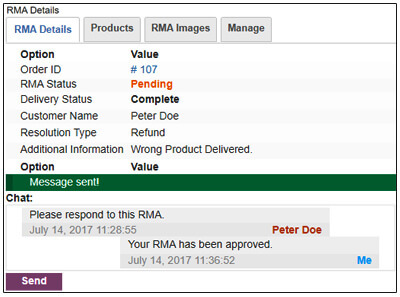 Admin can enter RMA Time to create RMA by the customer/buyer. The seller can manage RMA from his panel. He can also add RMA reasons for his products to be displayed at the front end to the customer while creating a RMA request. Seller can add RMA reasons for his products. Seller can view order information, product details and conversation related to the RMA. Seller can enter RMA Time to create RMA by the customer/buyer. Can chat with the buyer to resolve the RMA. The buyer can request for RMA, if the product does not meet their expectation. 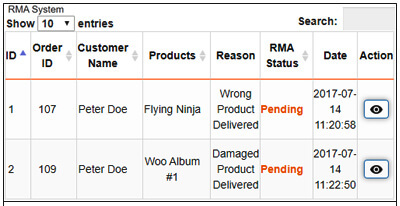 The Buyer can select the order for which they want to generate the RMA request. 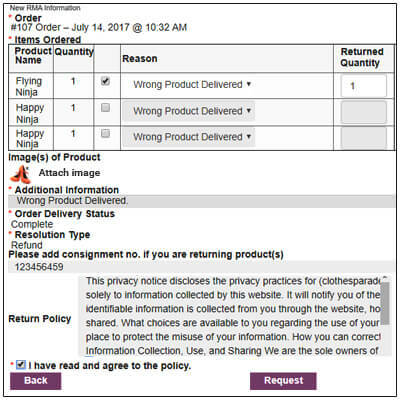 Buyer will select the reason for the RMA request, upload images of the received product, select the Order Status and can write additional information as well. The buyer can view their RMA list under the tab RMA. When the buyer will be satisfied with the seller's action (refund or exchange), then the buyer can close that particular RMA. Did you buy Marketplace Product RMA for WordPress WooCommerce?